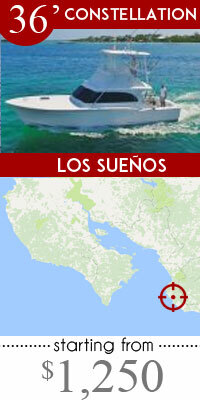 Call 1-800-407-9438 to talk to the Costa Rica fishing experts. 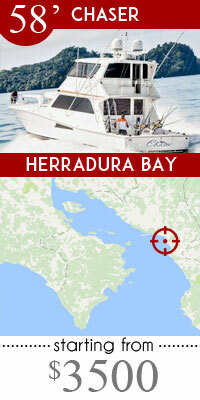 We have been hooking up satisfied anglers with Costa Rica’s top sportfishing charter captains for 30 years. 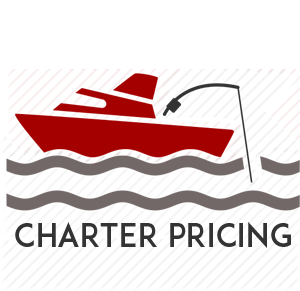 Tell us what you want to target – marlin, sailfish, roosterfish or tarpon – when you want to fish, how many anglers – and we will get the boat and captain that are right for you. 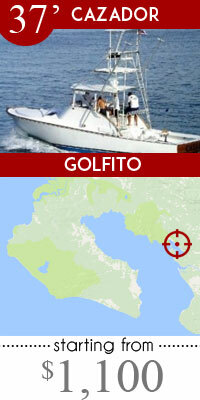 We will also arrange your complete Costa Rica fishing vacation under one hassle-free umbrella. 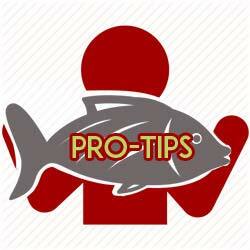 Just one phone call – 1-800-407-9438 – and you’re already on your way to an exciting sportfishing adventure. 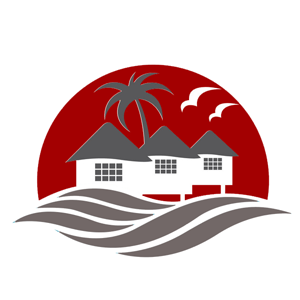 For larger groups of anglers planning to fish Costa Rica at Los Sueños Marina or even at Pez Vela Marina, FishCostaRica offers you three fabulous options for where to stay. 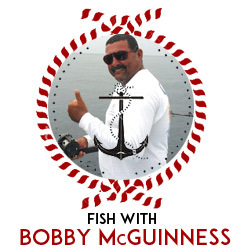 Bobby McGuinness is our featured Costa Rica sportfishing captain. Read more about his IGFA awards and records here. 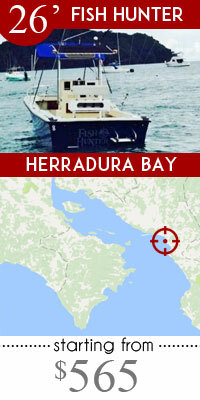 Even better, fish Costa Rica with Captain Bobby McGuinness on your next Costa Rican sport fishing vacation. 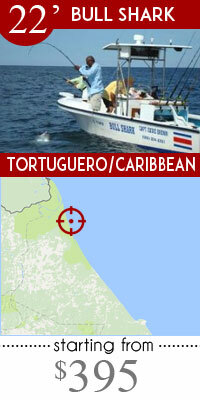 Costa Rica is called the world’s number one billfishery. 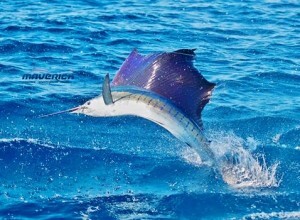 Thousands of eager anglers from around the globe fish Costa Rica for Sailfish all along the Pacific coast every year. 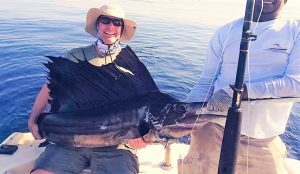 During the peak Pacific Sailfish bite, anglers on Costa Rica fishing trips with top-gun Costa Rica sportfishing captains might release 25 and more of these elegant and beautiful Sailfish on a full-day deep sea fishing charter. 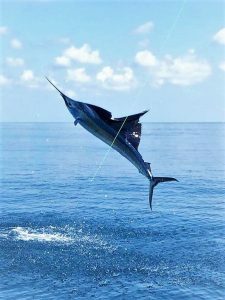 A Marlin leap is one of the most impressive sights of a Costa Rican offshore fishing adventure. These majestic deep sea gamefish are caught all year around off Costa Rica’s Pacific coast. 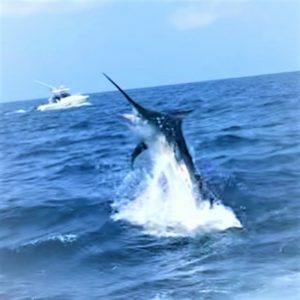 Experienced Costa Rica saltwater sportfishing captains will take anglers to blue water to fish for Blue, Black and Striped Marlin. 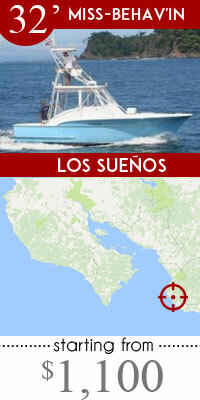 Hook a Marlin, and get ready for the Costa Rican sport fishing adventure of a lifetime. Exotic Roosterfish with their dorsal combs are among the most sought-after inshore gamefish. 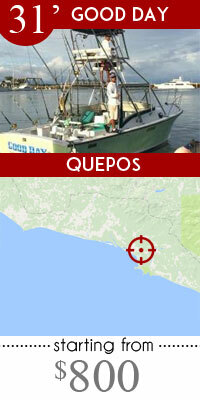 Anglers will find Costa Rica’s Pacific coast a great destination for Roosterfish. This catch-and-release species is as tough as they come. Even a 30lb Roosterfish will give anglers on Costa Rica fishing trips a terrific fight. Roosterfish of 60-70lbs are not uncommon, so imagine what is in store when you hook one! Snapper are one of the tastiest nearshore fish in the sea. Anglers who decide to fish Costa Rica inshore will find over a dozen members of the Snapper family, including Red, Cubera, Mullet, Rock, Spotted Rosy, Colorado, Yellow and Silky. The incredibly delicious and pretty Spotted Rosy Snapper is the smallest, while huge Cubera Snapper of 60lbs and more are not uncommon on Costa Rica fishing trips. Pound for pound, the prehistoric Tarpon, or Silver King, is the world’s most powerful gamefish. Boating an 80lb Tarpon is like hauling a 1949 Buick from the bottom of the sea. The largest Tarpon ever caught fishing Costa Rica weighed 240lbs! Tarpon are found only on Costa Rica’s Caribbean coast. 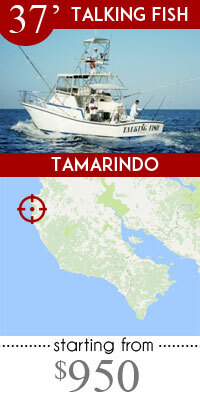 Its fighting spirit and terrific leaps lure anglers from around the world to fish Costa Rica for Tarpon. Snook are another tasty nearshore gamefish. Costa Rica fishing enthusiasts can best enjoy Snook fishing on the Caribbean coast, although when the tides are exactly right, Snook can be caught casting close to shore on the Central Pacific and especially South Pacific coasts. Along with the Common Snook, a much sought-after Caribbean Snook species is the delicious, smaller Calba, or Fat Snook. 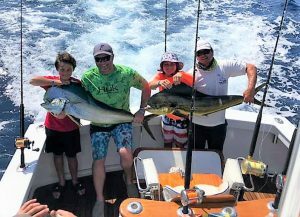 Twice weekly Fish Costa Rica prepares news posts as they relate to Costa Rica Sportfishing and Charter reviews of the top boats and captains. 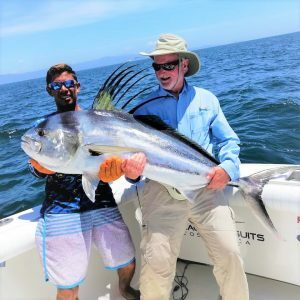 Don’t miss our daily fishing reports where top Costa Rican fishing captains give us an up to the minute report on their fishing experiences. MOST POPULAR SPECIES. Costa Rica Fishing by type of fish.